As explained by Lal Wijenaike, the 10 experts nominated by the Steering Committee and drawn from various professions like engineering, legal, political and academia, with different backgrounds worked on an initial draft, based on interim report and 6 subcommittee reports. This initial draft; can also be called as a Zero Document or Non Paper to facilitate further discussion has been handed over to the steering committee. According to Lal after discussions in the steering committee a draft proposal for the new constitution will be ready for the constitution assembly. At the same time Dr. Jayampathi Wickramarathne said “I must categorically say that Mr. Sumanthiran or myself, are not involved in the expert committee work as they work independently, though the joint opposition tries to show a different picture.” Jayampathi added “The Steering Committee has decided to prepare a final report and we have no involvement in that process either and we have explained this in Parliament last week. The ball is in their court now.” Inspite of these clarifications, Sri Lanka Podujana Peramuna (SLPP) Chairman G. L. Peiris said that they had managed to obtain a draft copy of the new constitution which had been hatched in secrecy! He said it had been drafted with hatred towards the Rajapaksas and contained provisions that threatened national security and interests. Prof. Peiris told the news conference that the motive behind new Constitution was the hatred towards the Rajapaksas. “This is not the way to draft a new Constitution by targeting a particular group of people. No Constitution drafted in that manner is going to stand the test of time,” he said and added that the draft had a provision for the abolition of the executive presidency and the post replaced by a ceremonial president. Prof. Peiris said a person who had served as executive president for two terms was barred from occupying even the ceremonial presidency. What a shame! “It means Mahinda Rajapaksa cannot be even a ceremonial president,” he said and added that on the question of dual citizenship, anyone who had relinquished his foreign citizenship even 12 months previously was disqualified from contesting. “Such a constitution is not going to serve national interests,” Prof. Peiris said and pointed out that the proposed constitution would pose a serious threat to national security. It is hilarious to say these things without participating in any discussions. They avoid discussions in the Steering committee or the constituent assembly or even open public debate. When they were in power they did not allow any democratic discussion, in particular when they brought the 18th Amendment. Any checks and balances that could have penetrated the amendment, were purposely blocked and therefore, depriving the country of the safeguards that should have been activated in a democracy. The two-term limit was vital to Sri Lanka’s democratic governance as it acted as a check on the concentration of executive power and avoided promoting an authoritarian type rule, instead of democracy, which Mahinda was threatening to follow. The removal of this check meant that the president could continue for an unlimited number of terms and essentially granting the president a form of enduring immunity in office, in addition to the immunity from criminal and civil proceedings, if they continue getting re-elected for life. 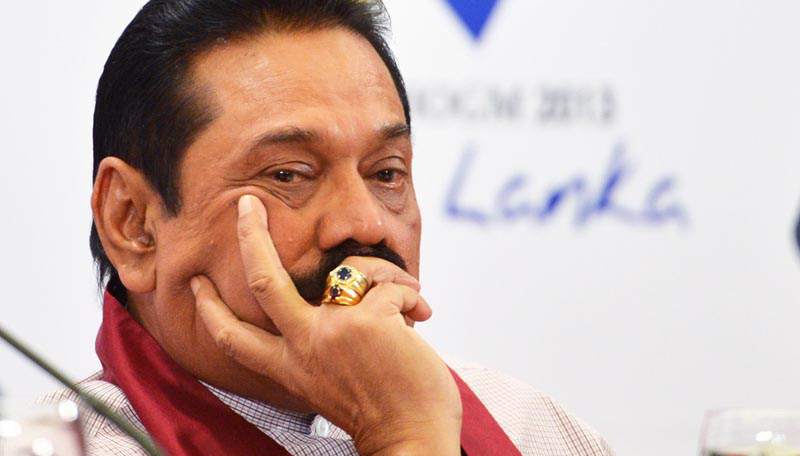 At that point in time, Mahinda was seeking a third term in office. Unlimited term limits provide unfettered power to the executive and simultaneously, weaken the branches of the judiciary and the legislature to control and prevent abuse of power. Conceptions such as the separation of powers are made redundant, when one branch has overriding power and diminishes the capacity of the other branches to function. Furthermore, the demolition of this Constitutional Council meant that the President had unfettered power to appoint key public officers, including the Attorney General and the judges of the Court of Appeal and the Supreme Court. This is particularly alarming, as it gives the executive supreme control over the entire legal system, and undermines a citizen’s ability to seek redress through these legal mechanisms. It also enables the president to directly appoint members of commissions such as the Public Services commission, Human Rights Commission and the Commissions in charge of Investigating Allegations of Bribery and Corruption (CIABOC). Hand in hand not only do the two parts of the amendment dilute checks on the executive’s power, it gives virtually unchecked power to the executive. The constitutional amendment was a clear tool to help Rajapaksa construct a more authoritarian, significantly less democratic order. On one hand, people have a strong President who is trying to latch onto power indefinitely. And on the other, a President who has erased mechanisms of accountability so institutions like the courts, and the Attorney General, rather than serving as independent checks on his power, are now actively working on behalf of him. Additionally, the Supreme Court’s reasoning for upholding this amendment endorsed it as being inherently democratic. It was argued that it widened the people’s choice to vote and that they were no longer ‘restricted by the law’ as to who they wanted to lead the country. Thus, we have a regime that seems democratic, where formal procedure is followed and Courts are given an opportunity to oversee amendments, where people can still vote, and elections are held. But at the same time, its underlying system is not democratic. This makes it difficult for people to discern that the law is no longer being ordinarily operated by the government but rather, is used as a weapon to invert democracy and remove key organs that serve as defense mechanism for democracy. It is amusing to hear cries for democracy from such a tyrant.